Last week, Microsoft made it clear that it’s finally looking to boost its first-party output. This follows criticism that their roster of top-tier exclusive titles has been relatively bare in recent years, a Forza or two aside. Indeed, the Xbox One Xlaunched last week with only platformer Super Lucky’s Tale, which seems like a huge missed opportunity given that nothing drives interest in consoles better than exclusive games. Still, on PC, that’s not really our problem. An upswing in Microsoft-published games is potentially exciting news, though, since all of the Xbox One’s games come to PC now—but they’ve got a long way to go to reach the heights of the 360’s early days. At that time, Microsoft seemed to find the right match of big-budget series, great developers and slightly offbeat projects (only some of which made it to PC, during the dark days of GfWL). Meanwhile, the announcement of Age of Empires 4 shows that Microsoft’s looking at ways to revive its ’90s/’00s back catalogue on PC. Here’s what we’d like to see next on PC. Samuel: Microsoft used to be great at this on the Xbox 360, steering the likes of Shadow Complex and ‘Splosion Man onto the platform (while not always bothering to bring them to PC) as part of mostly indie-themed release ‘seasons’. I don’t want to buy this kind of game on the Windows Store, really, but the idea of Microsoft discovering and then bankrolling this kind of game is appealing. Ori and the Will of the Wisps looks like a step in this direction. Providing the games in question can come to Steam and GOG too, it’d be good to see Xbox using its deep pockets for more of this. Wes: I practically shouted “yes!” when you wrote this one down, Sam. I’m hot off a viewing of Thor Ragnarok, my favorite Marvel movie in I don’t know how long, and I think that’s largely because you can feel the director’s spirit shine through so brightly. He even voices one of the funniest characters! Even Guardians of the Galaxy still felt restrained somewhat by the corporate overlords, but Taika Waititi channeled his goofy charm into Thor so damn well, I’d love to see big game publishers follow that playbook. Microsoft has some great properties in its vaults, and I’ll give them props for handing Halo Wars 2 to Creative Assembly. Even if the game wasn’t a smash hit, that was a smart hand-off. But it was also a safe one. I’d love to see more surprises. What would a Halo led by Nier creator Yoko Taro look like? What about a new Crimson Skies from, I don’t know, Vlambeer, the developers of Luftrausers and Nuclear Throne? Be bold. Make unexpected decisions. It definitely won’t always work out, and it won’t be as safe as triple-A studios typically play things. But I can’t think of a better way to get people talking and create memorable games. Samuel: I agree, Wes, more esoteric creators in the mix can only be a good thing. But I don’t think they even have to take big risks in doing this. The reason I put this entry here is because at some point, Microsoft was sounding out Runic for a Fable game. What a shame that this didn’t happen! It’s been seven years since the last full Fable, and Legends was nixed some time ago. The question is, of course, who has the expertise to make a full-scale Fable. Like The Coalition, who were making something original for Xbox One before being drafted to make Gears of War games, it’s possible they need to create a studio from scratch to make a full Fable. Xbox needs its open world action RPG: Nintendo and Sony both have this box ticked with Zelda and Horizon Zero Dawn respectively, and this genre has never been bigger after the likes of The Witcher 3 and Skyrim. Fable is a vivid, characterful universe that’s crying out to return in grandiose form. This should be a priority for Microsoft. But to get all backseat game designer one more time, what about finding more inventive ways to use existing series? 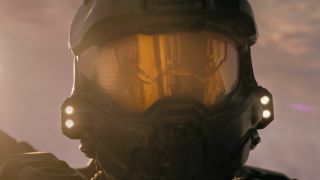 What does a Halo RPG made by Obsidian look like? We could do this all day, but Microsoft needs more games, and experimentation is important. Samuel: Microsoft wasn’t afraid to see what worked during the early days of the 360, presumably to great expense. This led to a bunch of duff products like Too Human and Shadowrun (the boring FPS one that also came to PC), but also some wins, like cult classic JRPG Lost Odyssey, N64 successor Banjo-Kazooie: Nuts ‘n’ Bolts and co-op superhero hit Crackdown. Where’s the Microsoft capable of actually creating big new series? That’s what’s missing right now, and it was spotlighted by the demise of Scalebound, an original game from a well-regarded, offbeat creator (it was reportedly stuck in development hell for a long time). Sea of Thieves feels like one of the only big, new things on the horizon. Right now it doesn’t feel like they’re trying to create the next Halo, Fable or Gears of War when it comes to new series—and that absence is noticeable, while Sony scores wins with the newer likes of Horizon and Bloodborne.